An intimate portrait of immigration, family, and the heartbreaking (and sometimes hilarious) things that happen along the way from the author Colum McCann calls "the greatest writer of our generation." 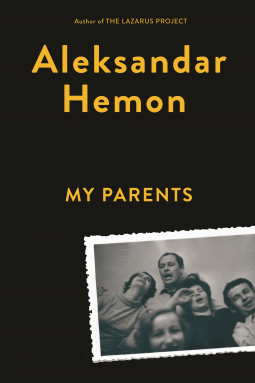 In My Parents, Aleksandar Hemon tells the story of his parents' immigration from Bosnia to Canada--of the lives that were upended in the Siege of Sarajevo and the new lives his parents were forced to build. As ever with his work, Hemon portrays both the perfect, intimate details (his mother's lonely upbringing, his father's fanatical beekeeping) and a sweeping, heartbreaking history of his native country, from the rule of Otto von Bismarck to the massacres that shocked the world. It is a story full of many Hemons, of course--his parents, sister, uncles, cousins--and also of German occupying forces, Yugoslav communist revolutionary partisans, royalist Serb collaborators, and a few befuddled Canadians. That would be enough to astound readers and yet Hemon also shares an untampered series of beautifully distilled memories and observations titled This Does Not Belong to You, the perfect complement to a major work from a major writer who is about to become unignorable.